On the way to debut longplay, London quartet deliver their second single. Some artists favor long build-ups to any event, but this British band seem to clearly envision the route ahead. Strings-strumming guys who share the name Paul, from the Milne and Nelson families, started writing together in 2016; one year later, with keyboard player Sarah Gonputh and drummer Elian Dalmasso having rounded off the line-up, the ensemble would cook up a two-piece record and prepare an entire album. Anticipating it, though, they willed another ’45 into existence. 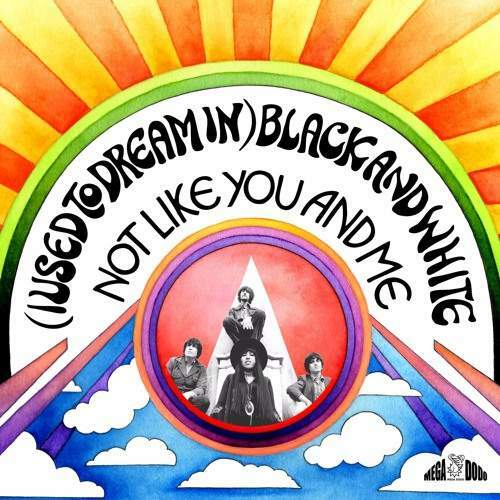 The title track of “(I Used To Dream In) Black And White” is an immersive weave of acid folk ever-shifting threads, as a 12-string strum ushers in soft, echo-dappled vocal harmonies that deliberately use “California Dreamin'” as a springboard to retrofuturistic kind of nostalgia. It could be reverse engineering of psychedelic technicolor if rumbling guitars didn’t get in, too, to rival perky drums, and the vigor wasn’t dissolved in romanticism once again. Unlike the A-side, “You And Me” is riding thunder from the very beginning, as shades of raga feed into space rock, before old-time synthetic ivories kick in to drive the song towards glorious pop. All this means, there’s going to be a great variety on the group’s LP. Follow the bird, then.